The softest and most luxurious exercise bike seat cover Anywhere! This is our best seat. So much luxury for such a small price. 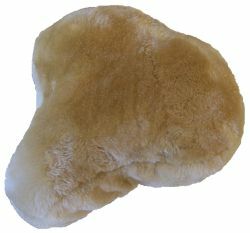 This seat pad has extra thick genuine sheepskin covering, much thicker and more durable compared to the competition! Colors will vary, lighter or darker, whiter or redder! Call us if color is important to you.